Congratulations to our Bucket List Winner! Yeah to Beth Hicks! 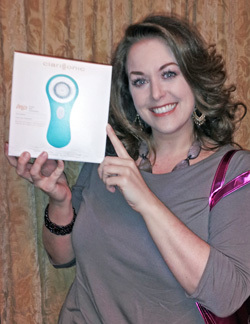 She is our lucky Bucket List contest winner of the Clarisonic Mia and a Saucy Chica Cucumber Cleanser. And I can help her with one of her bucket list items - stay tuned for her first yoga experience! Of course we will be going to Greenville Yoga - thanks to Greenville Yoga for offering her a complimentary class! Thanks to Beth and all our contest entrants! Just so you know that I did my list too, here are my 5 and then some! Travel - really any where the opportunity arises! Teaching English as a 2nd Language Course - Will be in Ecuador for the Month of July taking my certification. On my list for February 2014 - Skincare class and Eco-Travel through Thailand and get to visit a friend there as well! This trip is going to be amazing! Practice Yoga More - Signed up for a 90 Day Yoga Challenge with Greenville Yoga. I am practicing Yoga 3-4xs a week and it is awesome. Take a CPR Class - Finally after 10 years of being on my to do list, I am taking my class Friday, February 8th! Learn Spanish - well maybe there is still hope for this. Chinese New Year is February 10th, 2013. The Chinese 2013 horoscope shows us that this 2013, year of the black Snake, is going to be an exciting year for many. There will of course be both ups and downs, and for some the ups will be quite high and the downs will be quite low. For everyone, there will be good and bad and highlights and lowlights. Snake energy is cool on the outside and intense on the inside. This is one year when it's a good idea to keep our feelings private when we're out in the world, at work, or with friends, on social media, or at social gatherings. Keep your thoughts to yourself until you know it's a beneficial time to show your hand (yes, I understand Snakes don't have hands). This is a year to find your inner strength and determination, and not allow others -- with their negative thinking or conniving attitudes -- take what rightfully belongs to you. Snakes don't generally go in for a stand up fight (no hands or feet) but they use their wisdom and cunning to keep what is theirs. Snake energy is about not accepting rejection, or allowing the appearance of failure to cause you to waiver in your goals. In the past few years, many of you have been through some trials. Some have experienced the loss of family members, friends, and relationships. Or, you have lost jobs, financial security, homes, or investments. However, the symbol of the snake eating its own tail represents a time when something ends and disappears, and a whole, new beginning emerges. This is a year when we can find the strength to acknowledge the pain of the past, the sadness or lack. We can accept the fact many of us have experienced a great loss. What I mean is that this year, this year we have a real opportunity to make a new start, a new beginning. We have a chance to experience our own incredible potential, to find success and real happiness. You work hard. Your mind and body can sometimes suffer for it. Sometimes we'd love a way to relax and unwind at home. Many of us have problems with dry skin during these winter months. Wouldn't it be nice to know some things you could do to help in both areas? Chica to the rescue! Here's a PDF of some lovely at-home facial treatments for you to try that will help dry skin feel soft and revived. Right now almost everyone I am seeing has dry skin. I am a firm believer that taking care of your skin is a must. If you want to age gracefully and maintain a healthy complexion, then you must use proper skin care, and if possible fit in monthly, bi-monthly, or quarterly facials or whatever your budget or time allows. I know I can tell a difference in my skin when I am off my facial routine. If you are good about doing facials at home that is awesome. If you would rather someone else take care of you or want to just get an added boost, than come see me. This does not mean however that you don't need to take care of your skin every day. Although I would love to have some magic fairy dust I don't. 1. You should spend about 2 minutes cleansing your skin. I have loved using our Butternut Squash Enzyme Cleanser. It exfoliates the skin and leaves it silky smooth without stripping the skin. Work in circular motions, be sure to massage the areas that tend to have congestion and along the hair line. If you wear a lot of thick makeup you may need to do 2 cleanses. If you have a Clarisonic facial brush, now is the time to use it. Rinse with warm water. 2. Next spray with a toner - a toner should balance the pH of the skin, remove any residue left by the water, if you use a cotton pad and there is a lot of make-up left you may need to cleanse again. Also the toner should be a liquid serum, it should have a purpose. 3. Next use an enzyme or scrub to exfoliate. Preferably one that also hydrates -- our Pumpkin Enzyme is perfect for this. It hydrates, exfoliates and is chocked full of vitamins. Add some steam towels, you can heat those up in the microwave. The towels need only be warm! Remove the enzyme. 4. Apply your serum and then your moisturizer as well; then layer your mask over the top. This is fabulous for the skin. Allow your mask to work for 15-20 minutes. 5. For an added pick me up you can do a quick eye treatment for tired, dark, sore eyes. Apply eye cream, use river rocks you have been soaking in ice water, dip cotton pads in the ice water, super chilly but place all on the eyes (the cream, then the cotton pads and then the rocks). Leave these on while you have the mask on. 6. Once you remove the mask and rocks, apply your toner, serum, moisturizer, eye cream and remember lips, they need a little bit of love too. Not your typical Valentine's Day gift set! Take a bite out of boring old gift sets. Check out our "Love At First Bite" Vampire gift set...oooh la la, honey! Cat On A Hot Tin coconut milk/mango soy candle - light my fire baby! Chocolate Bath Melt Treats, like taking a bath in hot chocolate. A 16oz bottle of Blood Sudz super moisturizing, pomegranate shower gel. Love at first bite gift sets are only $50. We also have a few other items available that make a delicious addition to your favorite Valentine's Gift Basket. To purchase these packages or any other Raspberry Moon Gift Certificates, go to https://raspberrymoon.boomtime.com/levent. Whether you are buying this decadent package for a loved one or simply buying it for yourself (because we all know you deserve it), your treatment will leave you feel radiant, look like a million bucks and smelling very delicious. So watch out! You will enjoy one of my Back Facials, an Eyebrow Design, a customized one hour Over the Moon Facial Treatment with Eye and Lip Treatments and an Eco-fin Decadent Chocolate Hands and Feet Treatment. 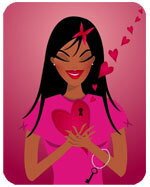 You will look and feel like a whole new person after our Be My Valentine Package. You'll enjoy an Eyebrow Design, a customized one hour Over the Moon Facial Treatment and an Eco-fin Decadent Chocolate Hands and Feet Treatment. Our Decadent Chocolate Eco-fin Treatment is truly a healthy, nourishing hand/foot treatment because it is made with 100% natural plant-based emollients and pure essential oils featuring the decadent and desirable essence of chocolate. No petroleum, artificial dyes, or synthetic fragrances! Ingredients: Palm kernel oil, soy oil, shea butter, jojoba oil, vitamin E, organic coconut oil, essential oils and/or natural and organic aromas of chocolate. Benefits: 100% natural emollients and pure essential oils. Eco-friendly, people-friendly, biodegradable, no petroleum products, no synthetic fragrances, no chemical dyes. 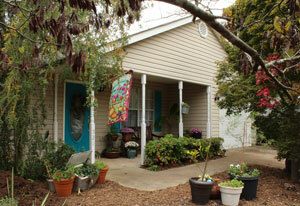 I am looking to move to Greenville, so I need to sell my house in Fountain Inn. Below is a link with all the information. If you can help spread the word I would really appreciate it. Thanks! Great house for the money! If you love trees and landscaping this is the right house for you. Quiet Neighborhood and Nice Neighbors. Realtors Welcome. No carpeting - laminate in living room, dining room, hallway and master bedroom; ceramic tile in bed rooms, parquet in kitchen and vinyl tile in bathrooms - great for reducing allergens! ALL Appliances Stay - GE Front Loading Washer and Dryer, Dish Washer, Stove and Refrigerator. ALL Window Treatments, Shower Curtains, Carpet/Rugs in Bedrooms and Light Fixtures Stay. JUST A REMINDER - This is a For Sale by Owner House - Real Estate Agents, please do not contact me in regards to selling this house or other spam emails. I will happily work with a Buyers Agent. If for any reason you are unable to make your appointment please call me 24 hours in advance so I may offer another client your time. Take a minute to add me to your phone - 864-271-2710, then I will always be at your fingertips! Remember this is NOT my texting number. If you would prefer to text me just let me know and I will be happy to give you my cell number. Looks like I will be here the whole month of February! Reminder this month I am working Sundays, February 10 and 24 and Mondays, February 11 and 25.